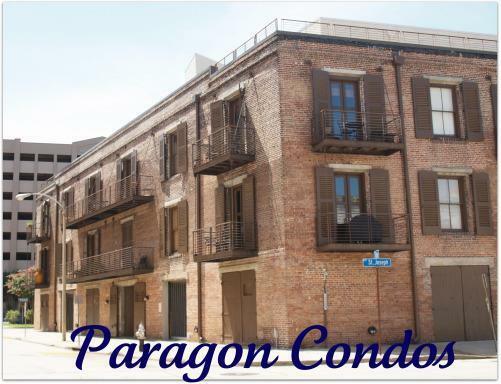 The Paragon Condos covers the entire block. The 23 condos are mostly 2 bedrooms on the large size. 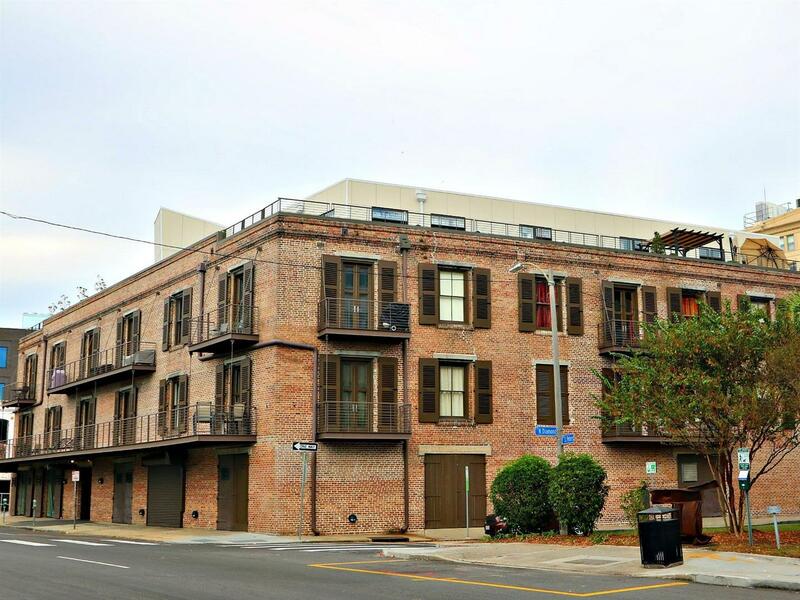 There are a few one bedroom units and two penthouses on top of the three floors. Many of the units have balconies. All the units have garage parking on the first floor. There are a couple of commercial condos in the front of the building. 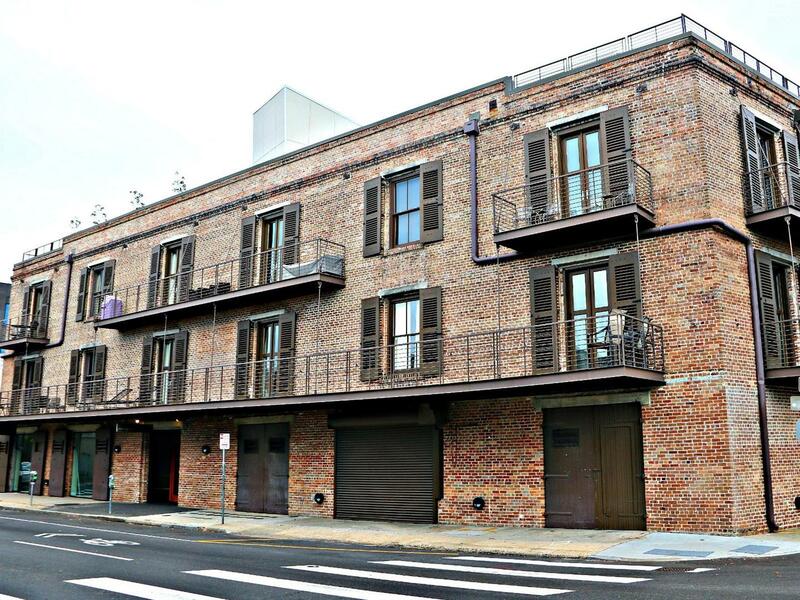 All the units have exposed brick walls and high ceilings. The units tend to be large with open floor plans and large rooms. You are a couple of blocks from the New Orleans Convention Center. There are several hotels down the block. 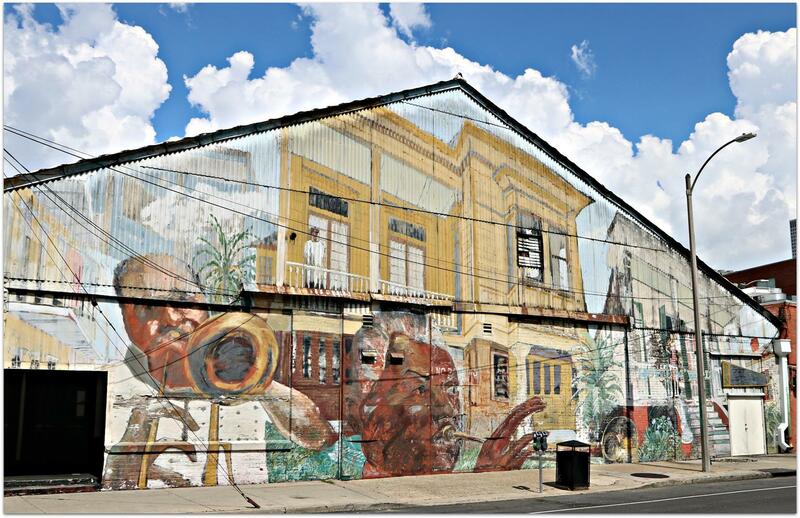 You are an easy walk to a lot of areas in the Warehouse District. Over the years many of the units have seen upgrades. Warehouse Night Club Across the Steet on South Peters.